Posted on March 4, 2019 by Captain Bligh! 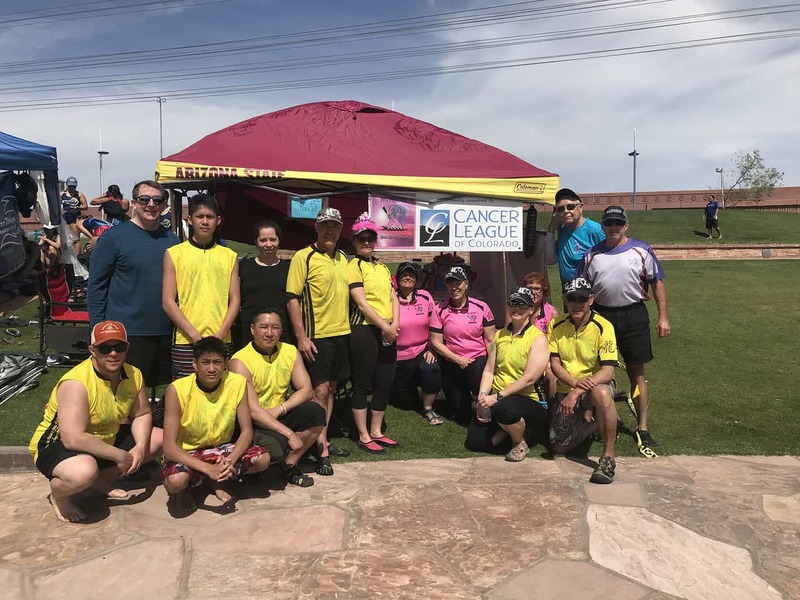 DRACO is pleased to announce that it has been awarded a $4,500 Service Grant by the Cancer League of Colorado, in support of its BCS dragon boat program and related activities that benefit Colorado’s cancer survivor community. 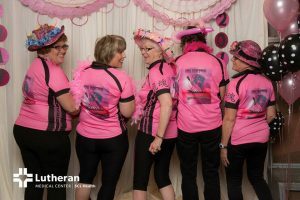 Many thanks to the Cancer League of Colorado for your support!!! 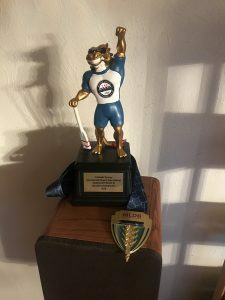 Posted on October 13, 2018 by Captain Bligh! Phantoms Win Division Championship at Rose Regatta!!! Congratulations to the Phantom Dragons / Pink Phantoms, Consolation “B” Division Champions in the Rose Regatta held October 13, 2K18 in Henderson (Las Vegas). 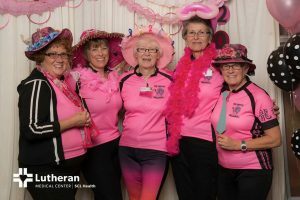 Pink Phantoms paddlers also participated in the special BCS races and ceremony. 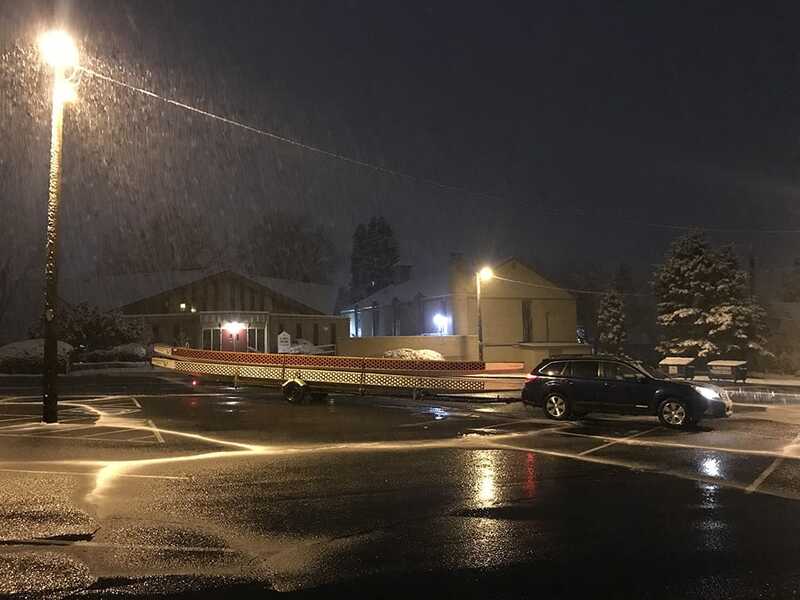 This was a special event for the crew, who first raced in the Rose Regatta in 2009. 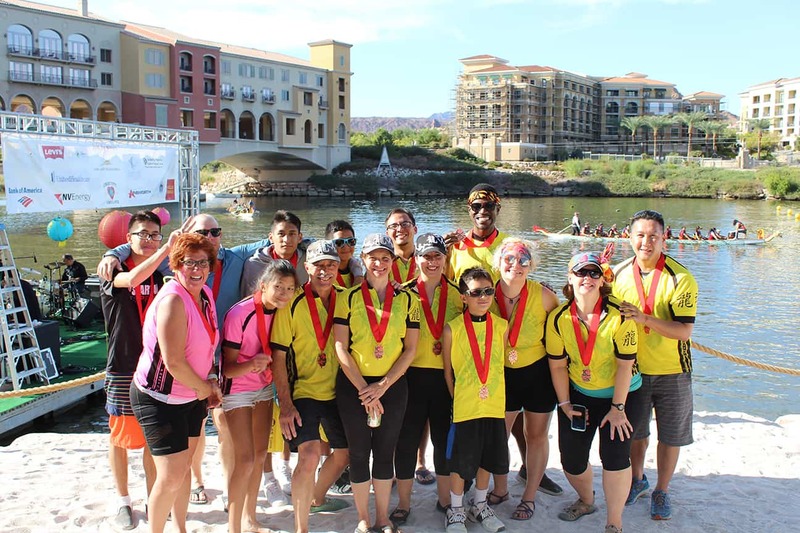 That competition marked the first time for any Colorado crew to compete in an out-of-state dragon boat event. Posted on August 25, 2018 by Captain Bligh! 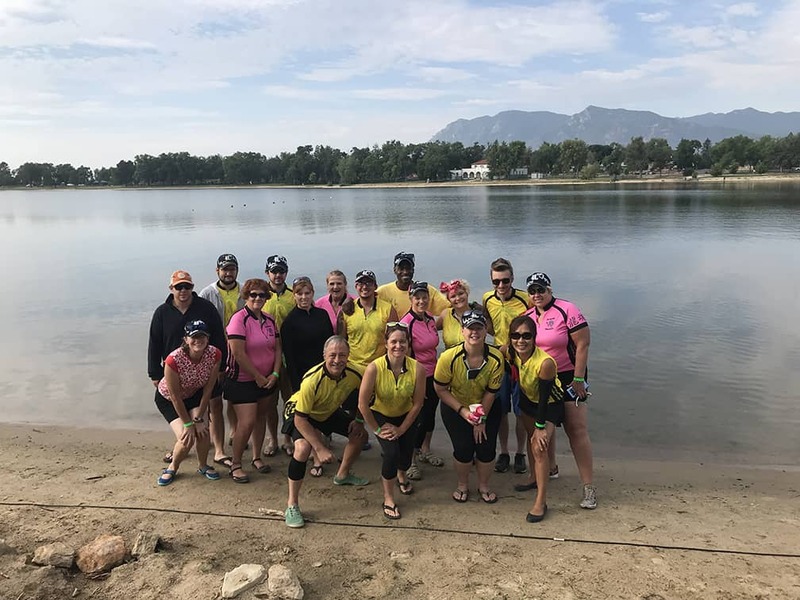 Congratulations to the Phantom Dragons / Pink Phantoms crew for their outstanding performance in the 2K18 Colorado Springs International Dragon Boat Festival. The crew put together a series of outstanding races, capturing the Mixed “B” Division Grand Championship trophy. After competing in the event, a number of our crew members took time to climb the challenging “Manitou Incline”. Great job, Phantoms!!! Posted on July 30, 2018 by Captain Bligh! Great Phantoms Performance at CDBF 2K17!!! 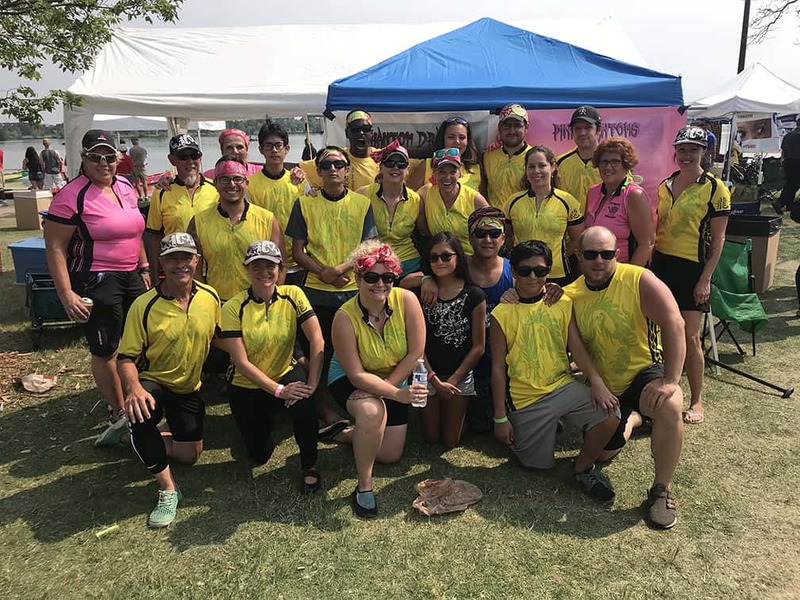 The Phantom Dragons / Pink Phantoms performed well at the 2K18 Colorado Dragon Boat Festival. 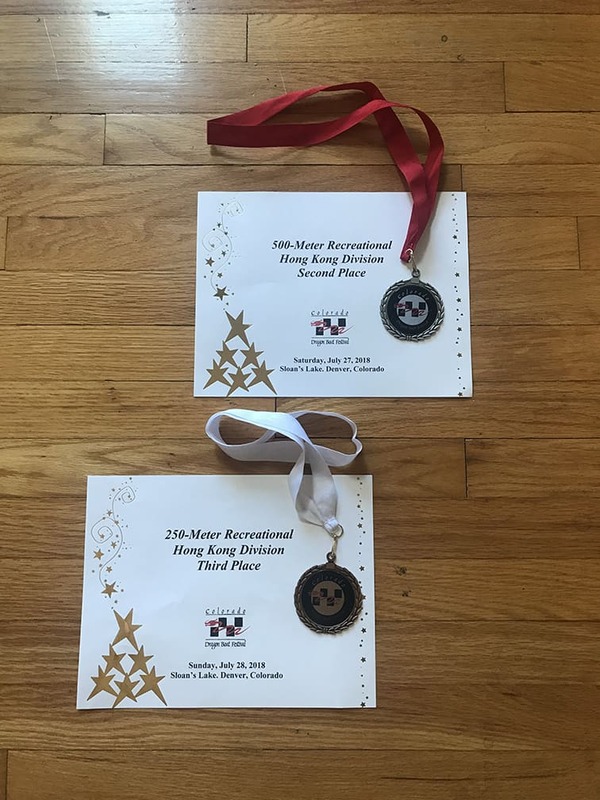 The crew placed well in both divisions, capturing 3rd Place in the 250-Meter Recreational Division and 2nd Place in the 500-Meter Recreational Division. Outstanding Job, Phantoms! 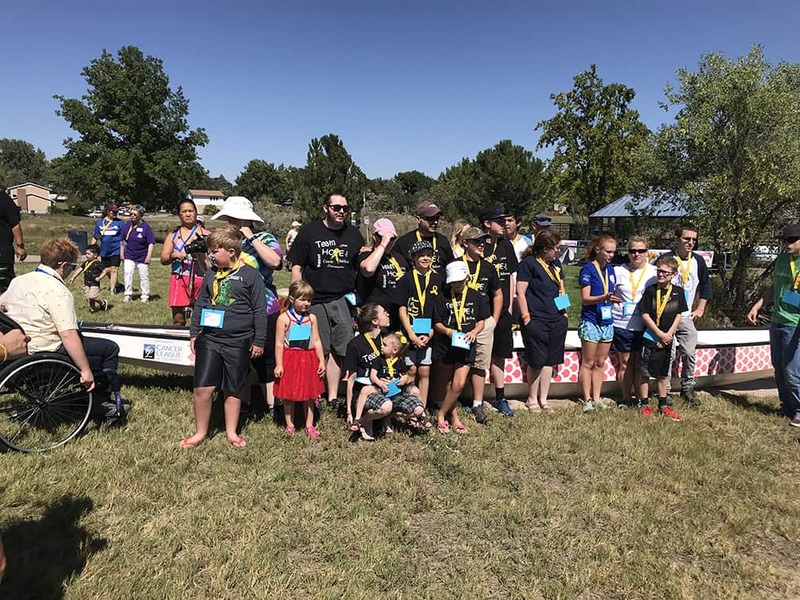 AZDBA Donates Dragon Boats to DRACO! Posted on March 30, 2018 by Captain Bligh! 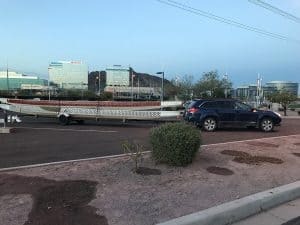 Many thanks to the Arizona Dragon Boat Association for the generous donation of two used 20-man Champion dragon boats and related equipment in support of our non-profit programs and activities. After making the necessary modifications to our trailer, we picked the boats up at the 2018 Arizona Dragon Boat Festival and hauled them back to Denver. The trip was not without its challenges. 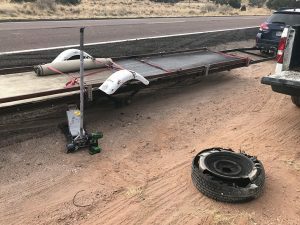 We blew a tire on the trailer on the trip down, and blizzard conditions from Pueblo to Denver on the return trip. Thanks again to the AZDBA for your support!!! Posted on March 25, 2018 by Captain Bligh! 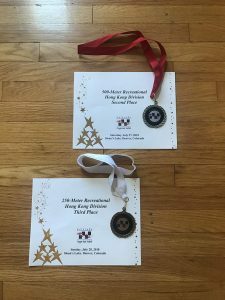 Congratulations to the Phantom Dragons / Pink Phantoms crew for their strong showing in the Arizona Dragon Boat Festival held March 24-25, 2K18. Short-handed for the event, the Phantoms had some much-appreciated help from a wide variety of paddlers from other locales. 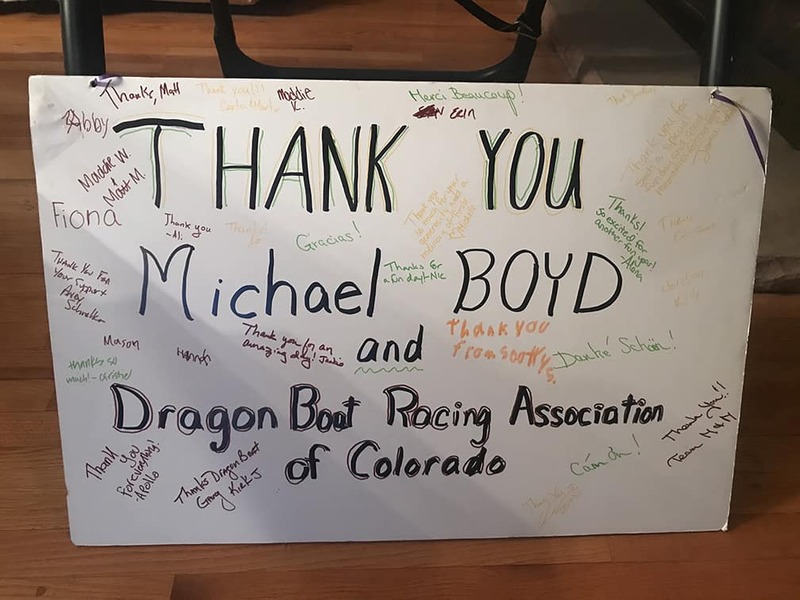 Many thanks to everyone who joined forces w/ us to race in this event! Posted on February 26, 2018 by Captain Bligh! 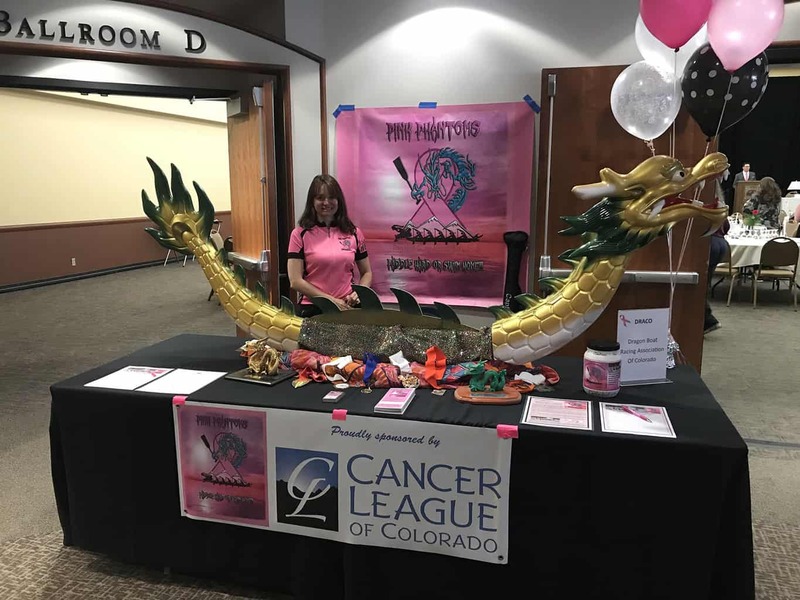 DRACO is pleased to announce that it has been awarded a $3,500 Service Grant by the Cancer League of Colorado, in support of its BCS dragon boat program. 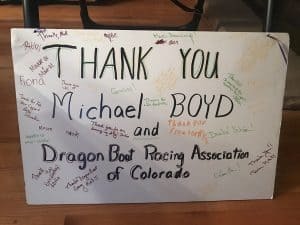 These funds will be used for dragon boating equipment and associated costs so that Colorado survivors may enjoy the many benefits of BCS dragon boat racing. Posted on February 2, 2018 by Captain Bligh! 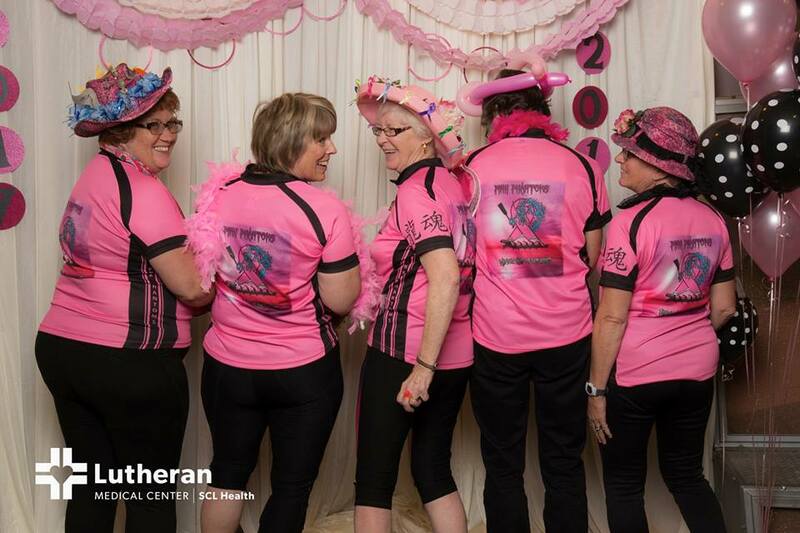 As part of its effort to promote its Breast Cancer Survivor (BCS) Dragon Boat Program, members and supporters of DRACO’s Pink Phantoms crew will be participating in this year’s BCS Pink Hat Tea on April 7, an event hosted by the Lutheran Medical Center for the benefit of newly diagnosed and long-term breast cancer survivors. The theme of this year’s event, to be held at the Arvada Center for the Arts and Humanities, is “Brewing Gratitude”, and will focus on finding gratitude in your life and how it fits into healthy survivorship. 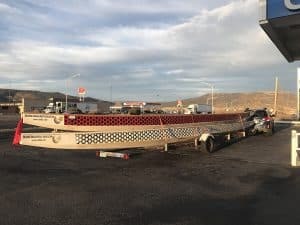 We plan to have a dragon boat on display, along with video and/or other promotional materials. Please join us for this great event, and help support both our program and the local BCS community!